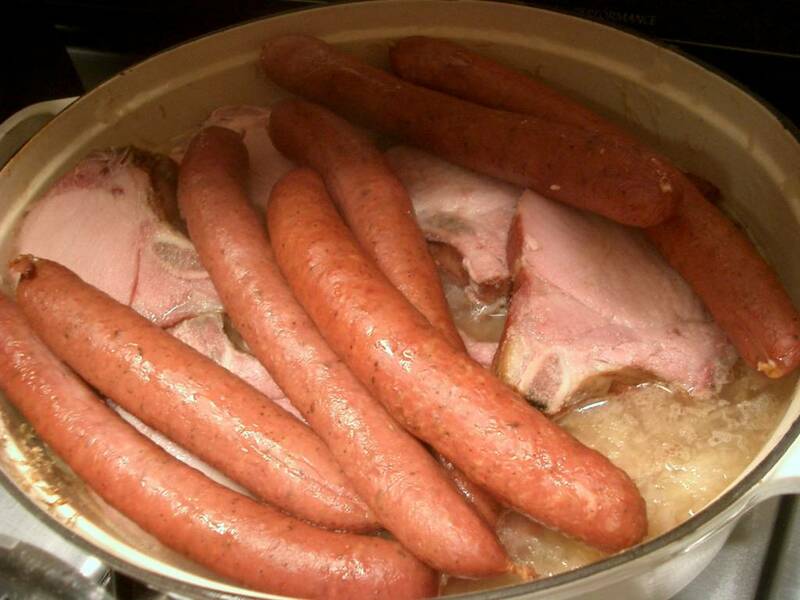 Fred's ex roomate Presd and his girlfriend Del invited over a whole bunch of people to sample Choucroute last weekend. 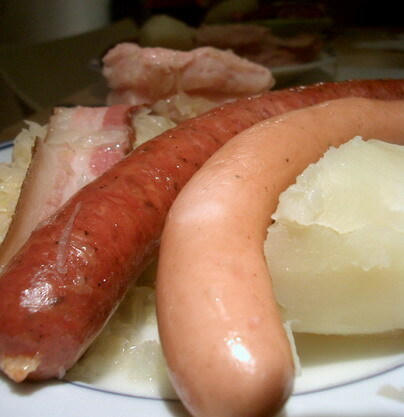 Choucroute, a dish from Alsace, is the French version of sauerkraut, cooked together with a whole bunch of different meats, and served with boiled potato. It's a hearty meal, for sure and not recommended for anyone on a diet. Presd sourced his ingredients from a German Butcher based in Mountain View called Dittmers. 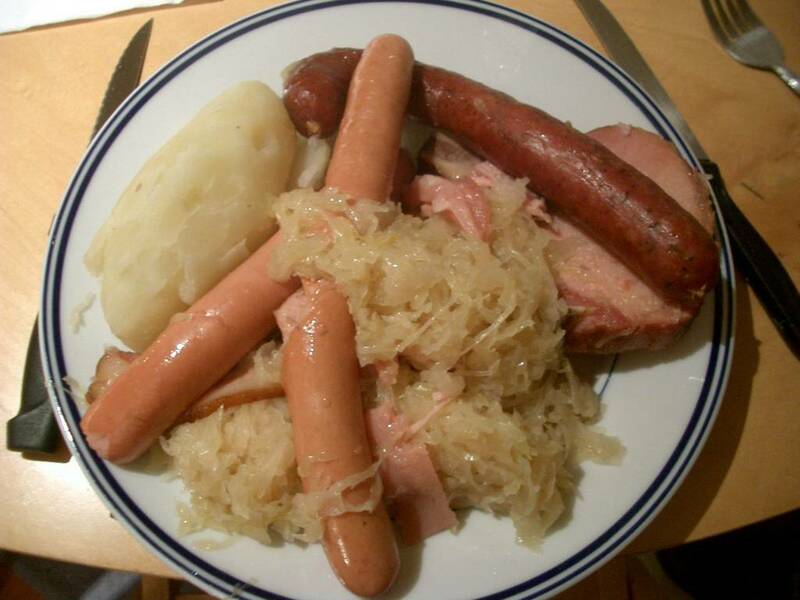 To make Choucroute you need the following: Choucroute(sauerkraut), Stock, White Alsace Wine, a Bouquet of Juniper berries, Salted Pork, Smoked Pork Chop, Frankfurters, Country-Smoked Frankfurters,(You can also add a thick piece of ham if you like) Boiled Potatoes. And a lot of love !! 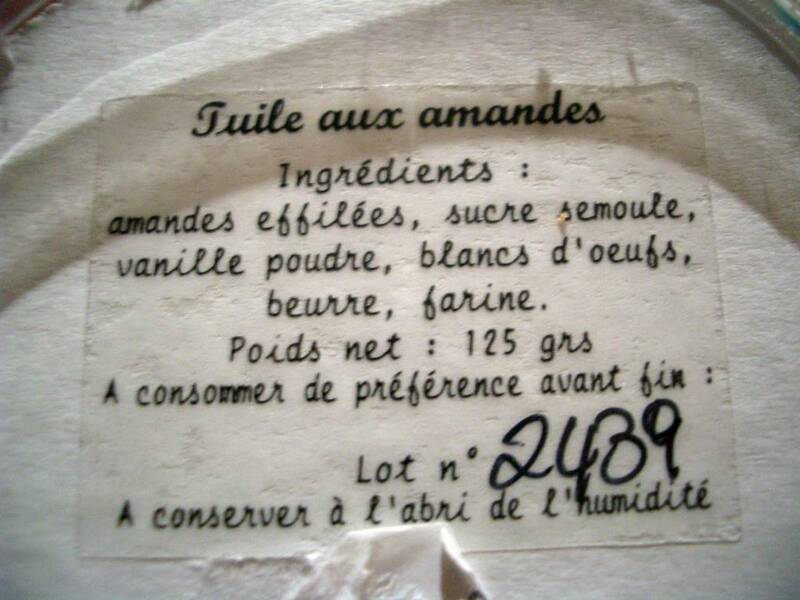 (Presd is omitting one secret ingredient from the list that makes it unique. Don't ask me. His lips are sealed.) 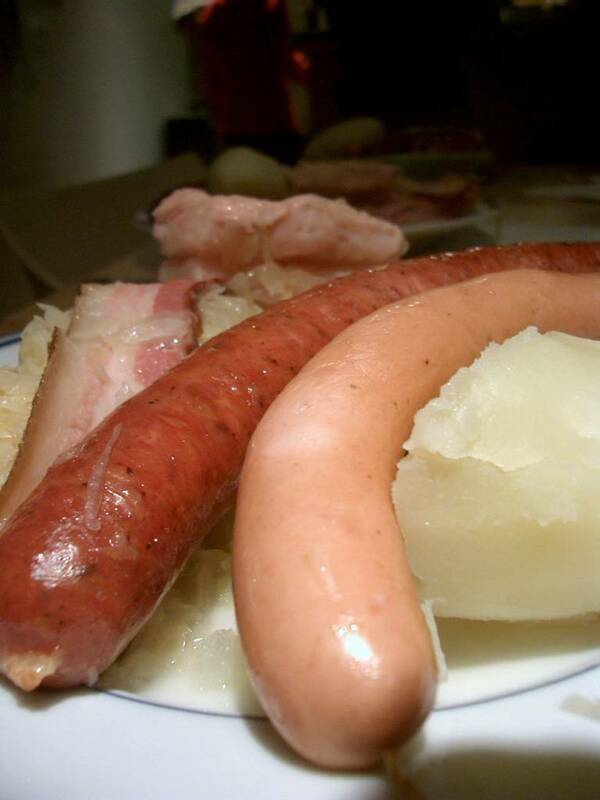 The dish is traditionally served with lashings of spicy Mustard. Fred and I spared a jar of real French Amora Dijon from our secret stash which turned out to be the perfect accompaniment. Raw sausages long to be simmering with their cousins in a large pot full of choucroute. The bacon is ready to serve and the bouquet of juniper is removed. The petit sale/salted pork. Not the best looking piece of meat with its vivid pink shade and big slither of fat on top. But, oh my, it tasted amazing. 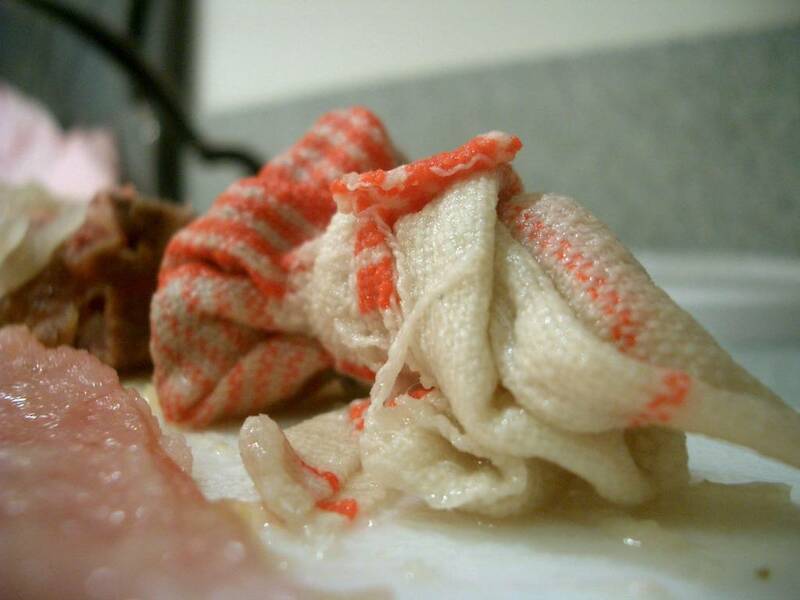 It was just about everybody's favourite cut from the choucroute hotpot. One last look at what Presd can do with an enormous sausage. 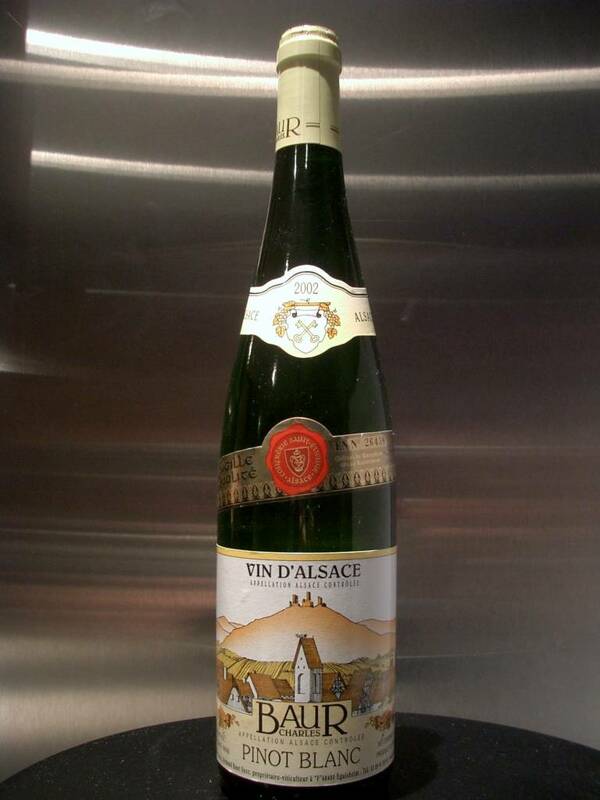 Fred and I visited K&L to choose some Alsace wines to take to the dinner. 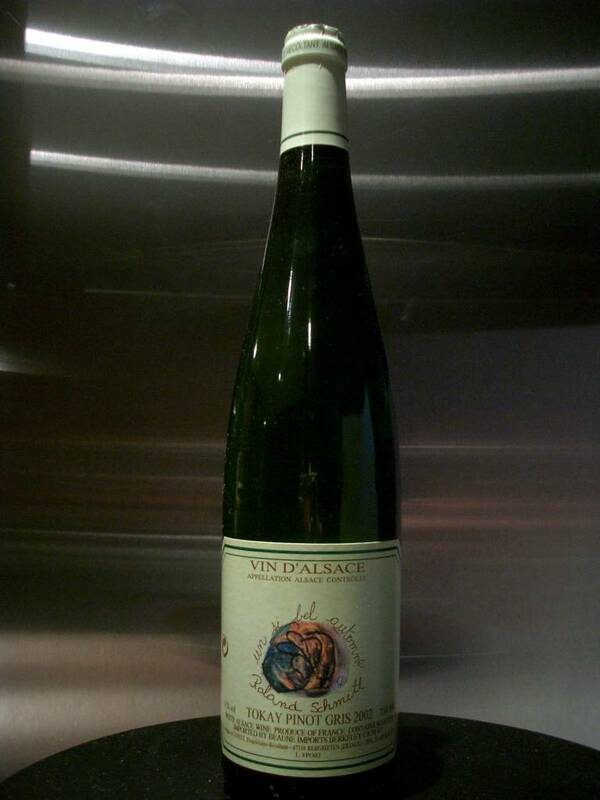 In the Alsace region you'll find a wide variety of choices including pinot blanc, pinot gris, gewurtzstramminer and pinot noir. Yes, pinot noir. 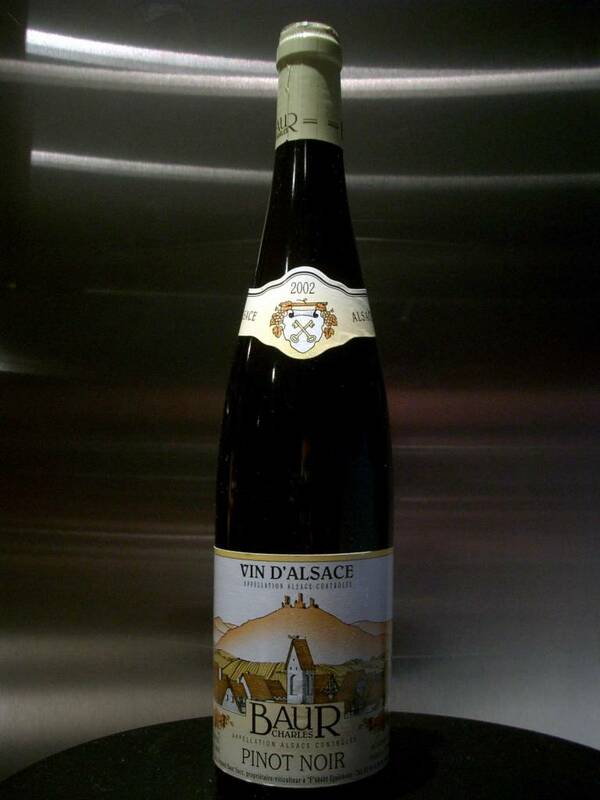 I had no idea there was an Alsace version. Our K&L guide explained it was very light and would be like no Pinot Noir we'd ever tasted. He was right. We served it chilled. 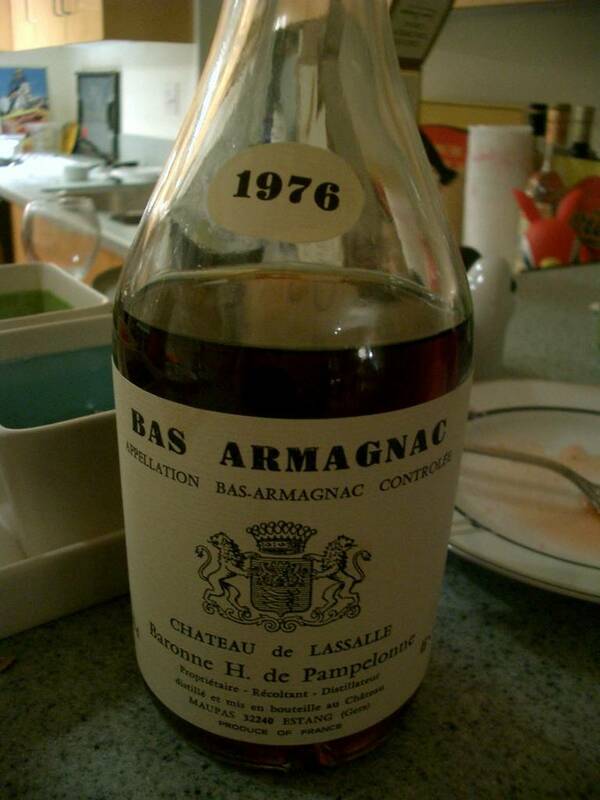 It was indeed light, delicious and dangerously drinkable. I wouldn't hesitate to buy it again. The price? $12.99 a bottle. 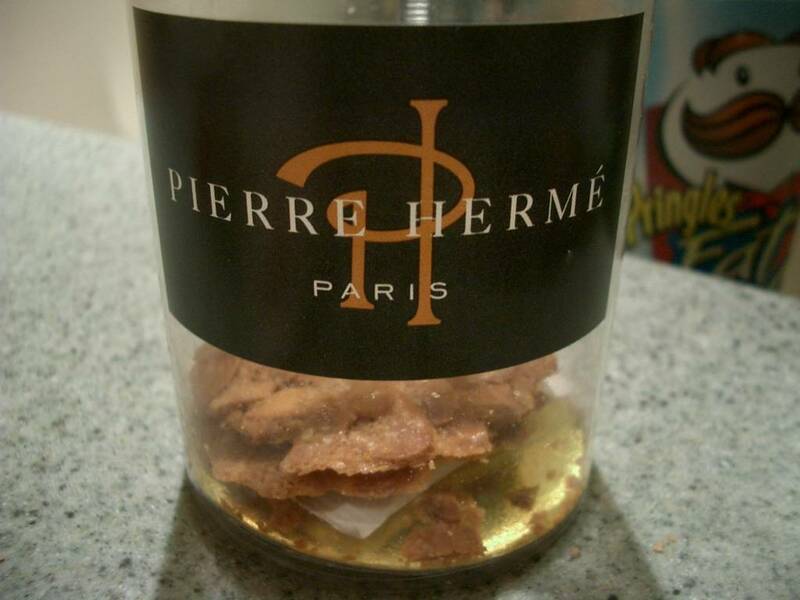 Mr Pringle has his eye on the Pierre Herme Almond Tuiles from Paris. Tough luck, Mr Pringle, we got to them before you. oh wow, sam, that looks positively yummy... (big sausage fan, here... :) ) i've heard good things about dittmer's, which is near my place of work as well. i'll have to drop by soon. 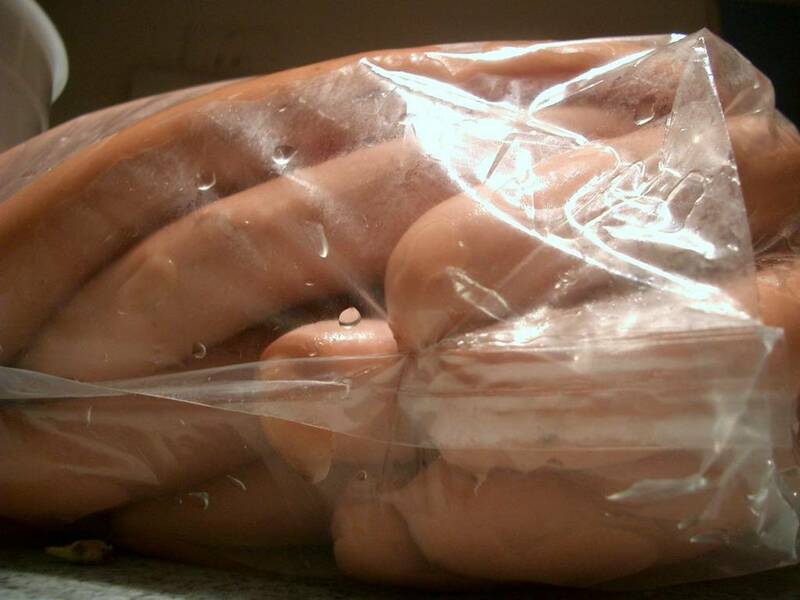 you say your friend purchased all the choucroute foodstuffs there? yes - everything - even the sauerkraut - although i couldn't find mention of that on the website. 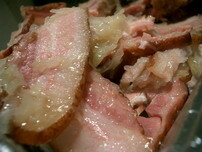 But now, ouch, I dn't want to see a choucroute for a year, at least. I'm dead! Maga - where do you live to find choucroute in a restaurant. 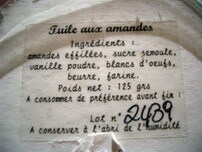 Estelle - I think I will have to ask Del to explain the "tarte aux quetsches" and "tarte aux mirabelles" to me. Del - another year? Well that's ok. We can make it an annual event to coincide with parapluie season! Well I think Magabe is in the bay area...Don't you Magabe? Thank You, Thank You, Thank you,Thank You, Thank You, Thank you,Thank You, Thank You, Thank you...I love this time of year at Chaucroute is the reason. I shall be slavishly reproducing this over the weekend. Did I say, Thank you? Del, how about some "tartes flambees" too? I'm very curious about how the sauerkraut was prepared. I have my own homemade version. Do you soak it first to mellow it? If so, how long? overnight? An hour or two? Do you cook it or just warm it? How long? 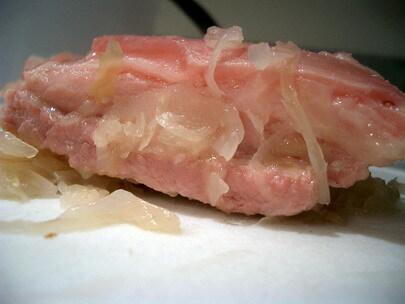 I read that choucroute is something beyond "raw" sauerkraut. Micky - I wish I knew - but this wasnt a meal i actually cooked and our host bought the prepared sauerkraut from a german specialist shop. I will ask the host if he has any idea next time i see him.